There are several routes you can take to get residency and citizenship in Mexico. Perhaps it is my contrarian inclination, or perhaps its my appetite for greater personal freedom, but despite all the recent talk about moving to Canada, I still prefer Mexico over any other country in North America. We have discussed before why moving to Canada in the face of a Trump presidency is not the most advisable reaction, and we have also discussed the many positives of living in Mexico, whether you are an American looking to comfortably relocate or an individual from any country looking to enjoy a vibrant culture and greater freedom. What we haven’t discussed is how to become a resident or citizen of Mexico. The good news is that the process is relatively straightforward and allows you to obtain a second passport in as little as five years. Mexico’s passport is the 28th most powerful passport in the world and allows visa-free access to 139 different countries, including Europe’s Schengen Area. While the process is simple, the bad news if you decide to go it alone is that it can be a headache dealing with the contradicting messages and overall inefficiencies in the different government offices. You will often find that the quality of service varies greatly from one Mexican consulate or immigration office to another. There are six ways a foreigner can enter Mexico. The first option is to visit as a tourist. Citizens of the United States, most of Western Europe and parts of Latin America can visit visa-free for up to 180 days. Citizens from non-visa-free countries can obtain a visa for $332 pesos, approximately $15 USD. If you have a location independent business or other online work, you can stay in Mexico the allotted six months without needing any other procedures or permissions. If, however, you wish to work in Mexico for a Mexican corporation during the 180 day period, you must apply for a different visa that allows you to engage in lucrative activities. To obtain the “permission to work” visa you must provide proof of a job offer and pay a $155 fee. Another catch is that you cannot be paid in Mexico for your services. You can, however, apply for the permission to work after arriving in Mexico. Less common visas include the adoption visa and the temporary resident student visa. For those seeking a way to move to Mexico on a more permanent basis, you will most likely need either the temporary or permanent resident visa. It used to be that you could apply for either visa while in Mexico as a tourist. Recent immigration reforms now dictate that you apply for your temporary or permanent resident visa at a Mexican Consulate outside of Mexico before traveling to the country. Once you have provided the proper paperwork to the Mexican Consulate, you will be given a temporary visa (which costs roughly $40 USD) that will be valid for 180 days. Upon arrival in Mexico, you will have 30 calendar days to exchange the visa document in your passport for the official temporary or permanent residency visa card. If you fail to exchange your temporary visa within the 30 days, you will be restricted from leaving the country and must go through a process of regularization that includes extra fees and an additional interview. Mexico’s temporary resident visa is designed for foreigners who plan to reside in the country for more than 180 days and up to four years. It is important to note that having temporary residency does not automatically grant the visa holder permission to work in Mexico. Temporary residents must apply for the same “permission to work” as those wishing to work within the 180 day period mentioned above. The offer letter and $155 fee are required, as well. That being said, there are various ways you can qualify for temporary residency. If you can prove that you have sufficient economic resources to provide for yourself without working in Mexico, including housing and meal costs, you can qualify for the visa. You can also qualify if you have an invitation to work (read, volunteer) from an organization or institution from which you will receive no income OR you are related to a citizen or temporary/permanent resident of Mexico. If you are married to a Mexican citizen, you should apply for a two year temporary resident card before applying for permanent residency or citizenship. If you are interested in purchasing real estate in Mexico, you may be able to automatically qualify for temporary residency. If you can prove that you have made an investment in real estate in Mexico equal to the value of forty thousand days of general minimum wage in Mexico City (73.04 MXN in 2016) — which is approximately $172,000 USD at the current exchange rate — you can obtain a temporary resident visa. For that price, you can get a modern two to three bedroom apartment in Mexico City, or a luxury home with three to five bedrooms and a swimming pool in most other parts of the country, including the suburban zones of Mexico City in the state of Mexico. Your other option is to have a number of different investments in Mexico, including real estate, stocks, and a business. Altogether, you should have at least $86,000 USD (at the current exchange rate, or 20,000 days of general minimum wage) invested in real estate and another $86,000 invested in shares in a Mexican corporation. You must also provide sufficient documents to prove the development of economic activity, such as invoices, receipts, contracts, business plans, permits, and your registry with the Mexican Social Security department showing that you are employing at least three people. In any of these cases, temporary residence is only granted for a one year period to begin, after which you can apply for renewal for an additional one to three years. To maintain your temporary resident card, there is no requirement for the time you must spend in the country during the course of a year. Plus, you can enter and exit the country an unlimited number of times. However, while this currently does not create any problems for renewing your residency card, if you plan to apply for Mexican citizenship in the future, you should reside in Mexico for most of the year. 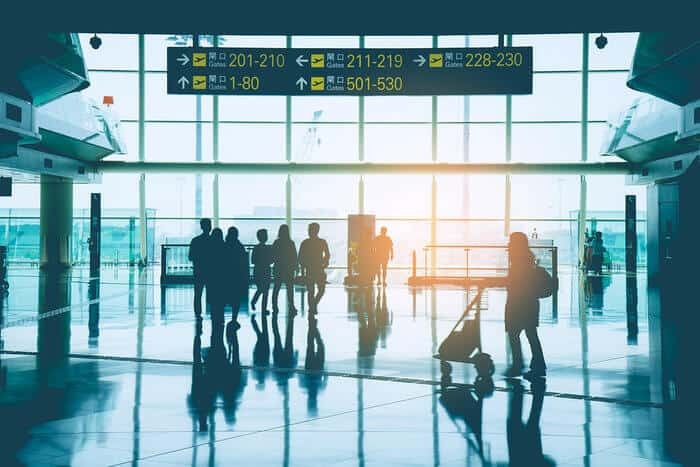 Permanent residency is granted to individuals who intend to reside in Mexico on a long term basis and who meet at least one of several qualifications. If you qualify for a permanent resident visa from the beginning, you do not have to apply for a temporary resident visa first. If you are related to a permanent resident to the second level (i.e. grandparent, parent, daughter, son or grandchildren); are pensioned or retired and are able to provide adequate monthly income through investments, savings or pensions; are seeking political asylum; or have a Mexican father or mother (if you are an unmarried minor), have given birth to or are the sibling of a Mexican citizen, you can automatically qualify for permanent residency. Otherwise, you must first seek temporary residency and then apply for permanent residency after four consecutive years. As mentioned before, if you are married to a Mexican citizen, that time period is reduced to two years. Mexico has recently introduced an alternate method by which foreigners can obtain permanent residency. The Point System was crafted to attract foreign investors or individuals with expertise in the sciences, technology, arts and humanities, sports or other areas that the Mexican government considers would improve Mexico as a whole. Among the criterion are your education level, work experience in low supply high demand jobs, skills in science and technology, investment in the country, international awards and acknowledgements, Spanish language proficiency, and a knowledge of the Mexican culture. To apply for a permanent resident visa you must apply at a Mexican Consulate outside of Mexico — like with the other visas — unless you already have a temporary resident card and are applying for permanent residence through the Points System. In which case, you can apply in Mexico at one of the INM (Instituto Nacional de Migración) immigration offices. With permanent residency you can work in Mexico without applying for permission. You will only need to notify the immigration office if you change your employer, marital status, nationality, or address (the same applies to temporary residents). Again, if you have a location independent business or other employment source not based in Mexico, you do not have to report that employment. Mexico is among the many nations that allow dual citizenship. It does not, however, allow multiple nationalities beyond the initial two. Once you have your permanent residency, it is fairly easy to obtain Mexican citizenship. While there are options to become a Mexican citizen through birth abroad to Mexican parents, Mexican descent back two generations (although there has been talk of extending it to three generations), or through marriage or having Mexican children, most foreigners will qualify for citizenship through naturalization. Naturalization in Mexico requires five years of residency prior to the application date, which can include all years of residency, whether temporary or permanent. If you come from a Latin American country or from the Iberian Peninsula, you can become a citizen in as little as two years of legal residency. Obtaining citizenship in Mexico is not the right answer for everyone — just like with any country — but it is one of the best options for someone with, say, a manufacturing business that markets to US customers, or someone who has a location independent business that wants to get out of the US, but stay close to family. There are any number of situations that could make Mexico is the right choice for you. If you are ready to get serious about going offshore and want to take a closer look at Mexico, or any other country for that matter, apply for a consultation and we can begin designing your blueprint. Gain independence from your government. Get our Freedom Seeker's Guide to Second Passports. it works if the both countries law accept dual citizenship, the problem is not all country accept dual citizenship. How and where can you apply for a Mexican residency …? Hi. I’m hoping to get some concrete answers here. I am married to a Mexican. He has dual citizenship . We went back & forth to the consulate in Downtown LOs Angeles so he could get his Mex. passport/ Courp. And were told by them that I do nothing there in the US. We moved to Cozumel Mx., Dec 11,2017. We moved in our home here. They said I would be granted dual citizenship here as his wife. I was thinking more like permanent resedency.. but which is the best route ? I really do not want to go back to the states & start paperwork there if I can avoid it .??? Mexican and British works too or any EU passport with Mexican ! Guatemala does not recognize dual citizenship. You must renounce when you become any other country’s citizen. Thank you for this in depth article. Being new property owners in Loreto, BCS, we weren’t sure where to begin the process of obtaining temporary residency visa. I have a Brasilian and American passport but it sounds like it couldn’t get a third with Mexico from this article. Too bad! Yes it does, although it may not be the full ten days. One of my team members had to push her wedding back a full week in order to stick around while the Mexican embassy finished the paperwork for her visa after her interview. Hello, You said “If you can prove that you have sufficient economic resources to provide for yourself without working in Mexico, including housing and meal costs, you can qualify for the visa.” My question is what amount of funds would I need to be able to show in my account. I have a free place to live, so only need food and other personal expenses. I am only looking to apply for a temporary visa. Thank you! Are you looking for a tourist visa or a temporary resident visa? The first doesn’t generally require proof of income; for the temporary resident visa, the Mexican Embassy website says you need proof of monthly income of $1,560 or an investment or bank statement showing a balance of at least $25,890 in the past twelve months. What is the reason you want to go to Mexico? Pakistan is also a nice country. If Pakistan is a nice country, then Syria is a super nice country! I just visited the Consulate General of Mexico’s Website, but they do not have any information about the point based permanent residency application that you mentioned. Can you please provide a link to the application for that program? The Points System is still relatively new and not completely implemented. There are certain INM offices throughout Mexico that apply their own version of it (which you can only learn about by going in to those offices in Mexico), but a nationwide systematic approach is still not fully up and running. That’s why you can’t find it on the government website. It’s still too new. Dear i am married to mexican girl since two years. I came here in 2013 on workpermit, then i renew it for two years, now when again wanted to renew it so immigration told me that may be i have an alert. Now why, how, by whom no one knows. During that time i havenot been abroad so its impossible to have anything like this. What are the possible solutions for my extension? I want to apply for permanent residency, I have some question’s in before to apply. Please e-mail me I will ask my questions there. Thank you..
what happens to my citizenship when l acquire Mexican citizenship? I am an American and the United States will recognize both my American and Mexican citizenship if l acquire a Mexican citizenship. But will the Mexican government recognize my American citizenship once l acquire a Mexican citizenship or do l lose my American citizenship in the eyes of the Mexican government? Mexico allows dual citizenship so you can be both a Mexican and a US citizen in the eyes of both governments. You retain your Stateside citizenship, you are not required to give it up. When you travel to the states you have to do so on your USA passport, you cannot travel to the states as a Mexican. When you enter Mexico you do so as a Mexican citizen. This was information I got from the American Consulate in Nayurit. I want to make bank in San Diego and live in Rosarito Beach! ? like a boss! I think this is probably a silly question, but I can become a permanent resident of MX and still keep my US citizenship, right? I’m only asking because a relative told me I’d have to give up my US citizenship, but I’m pretty sure that’s not right. If you are married to a Mexican citizen or if you are the child of a Mexican citizen you could obtain dual citizenship.. talk to an immigration attorney. I am not interested in becoming a Mexican citizen. Only a permanent resident and the question is: Can I still be a US citizen and do this? Not sure, I’m not an immigration attorney, I will recommend you check with one. ? Yes, I am a permanent resident, married to a Mexican citizen and I have retained my USA citizenship. Even if you decided to pursue Mexican Citizenship, you still keep your American citizenship, you then have dual citizenship. You have to live in Mexico for 5 years to get your Permanent Residency. I was thinking about buying a home in MX and a realtor told me that to get a good loan (I have the lion’s share in cash) I needed to be a permanent resident. He said to apply here, then there with the consulate and agree to live there for at least four years. Thanks for the citizenship info. I thought that must be right. Try not to take a loan. It’s not that easy to get in the first place, mortgages are still pretty new here. We paid cash and there are some pretty good cash deals here if you look. Good luck. I don’t know how long, I’m actually trying to give my husband the Mexican citizenship but I have not started the process, I did got info from the Mexican consulate but I have not gone through it yet. Google, Mexican consulate and it has all the info you need. The US allows you to keep US citizenship if gaining dual citizenship in another country. Some other countries may force you to give up US citizenship to become their citizen. Always check both country’s policies. I’m trying to get information on whether I can open a business in Mexico as a temp resident or only permanent??? Only as a permanent resident can you open a business. That was my understanding, but I bypassed a lot of red tape, I’m married to a Mexican citizen. If you can do it as a temp resident that’s great. Mexico is much more advanced than the States, just my opinion. In a 2 year period you cannot be absent more than 180 days from Mexico. ough my retirement money would not be as much as being employed in the states? Saudi Arabia is a good place for Muslim, they have sharia law and everything. You wont like Mexico, mostly Catholics. I have lived in Mexico for 8 1/2 years. I stay 6 months then leave and return for another 6 months. I receive a small pension from the U.S. My pareja died a few months ago and I’m thinking I want permanent Mexican residency. How do I get it? If you are a US citizen and you own a location independent business, if you became a permanent resident of Mexico, would you be taxed in Mexico? I would like to move to Mexico and use the FEIE to reduce my tax bill to near zero, but I don’t want to end up paying income tax to Mexico. Yes, you will pay maxi an taxes. my girlfriend is mexicans and she want me to settle in mexico and we are in weeding procession to get her nationality is it possible.? My husband applied for Mexican citizenship and they told him it would take 6 months or less. It has now been 6 months. We are planning a trip to Europe in September. When his papers get approved, will he have to go get them right away, Can he have a lawyer pick them up instead? Hi, did your husband apply for Mexican citizenship after 2 years of residence or 5 years? And did he have Temporary or Permanent Residence? I’m Canadian. If i marry a Mexican woman can I live and work there? 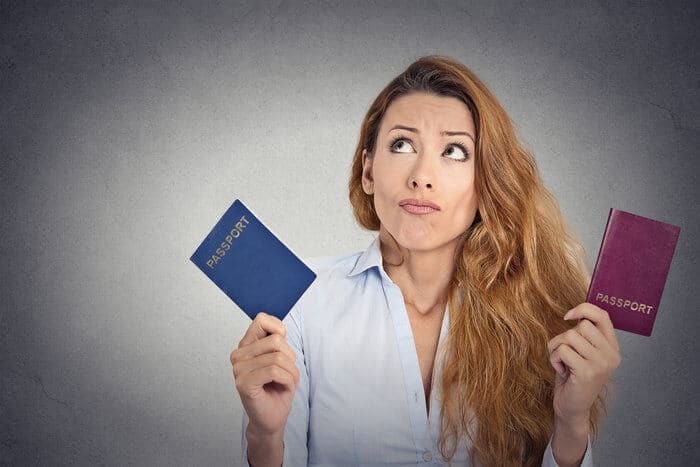 Yes you can, but you will need to obtain your temporary residency and after that you will need to get a work permit from immigration office in México. I am married to a Mexican Citizen. May I get Mexican citizenship without go to Mexico? I have a question I have been trying to get correct and accurate information on. I am and have been married to my wife for 9 years going on 10 with a 9 year old daughter. I want dual citizenship so that I could come and go when we want to visit family members in Monterrey. How can I get it without having to live in Mexico for long periods of time. I would live and stay with my in laws. I’m married to a Mexican citizen. To get Mexican citizenship, do I need to stay 2 years in Mexico or 5 years? And can I apply with Temporary residence or does it need to be with the Permanent residence? Trying to find out how long the process should take. We are starting up a shuttle service in phoenix AZ to rocky point Mexico.Was told I need a duel citizen ship to work in Mexico. Please inform me on what to do next. Im a USA citizen BORN and raised here. My mother has dual citizenship with Mexico and U.S. She was born in Mexico, her mother was born in the U.S., and returned with her to the U.S. I am an adult, can I become a dual citizen with Mexico, or do I have to live there for x amount of years first? I would like to buy property in Mexico to retire. Are there limits to the number of days we can be outside of Mexico on the Residente Temporal visa? Is it correct that with the Residente Permanente you cannot be outside of Mexico for more then 180 days in the past 2 years? Ok i been married to may husband ( who is a mexican) for over 10 years and i been a housewife for the first 4 years and i started working with my husband for the past 7 years, but every check comes in his name. I want a permanent residency for me and my children, how do I go by doing that if I haven’t really had a job in my name in over 10 years? My sons girlfriend was born in the USA but have non USA citizens parents Mexican. The dad was deported and moved back to Mexico and had a house with his mother. He recently passed and wanted to leave the house to the girls however, they have been told they need Mexican citizenship to get the house. Her relatives there are trying to take the house from them so they need to get this citizenship asap. Any suggestions. Hi i am zaheer khan i am from pakistan i want to Mexican citizenship what should i do can any one help me. My husband is mexican citizen, for my husband to obtain a dual citizen for my child since he is US citizen would i have to authorize or given consent for him to do that? Passport is denied due non child support payments . Can he get a perm red card and citizenship with his passport denied by his own country ? My mother was born and raised in Mexico, but she now lives in the United States and has a dual citizenship. Is there a way that I can acquire a dual citizenship ( I was born in the United States and I am a citizen)? My father was born in the United States and is also a citizen. When I was younger my grandfather tried to help my sister and I acquire dual citizenships, but unfortunately got sick and died before we could start the process. I don’t know much about the process and I am trying to obtain a dual citizenship so I can go to college in Mexico and move there permanently if I so chose. Hi, I am Canadian and so is my wife but she also possesses a permanent Mexican resident card. Am I eligible to receive one based on the fact that she has one and we are married? Good Lord, why drag Trump into it? He’s a capitalist par excellence, and the small business opportunities will greatly increase under his leadership, which can only have a positive effect on Mexican AND Canada. In fact, if I were an entrepreneur, I’d flee Canada under the Castro-loving Trudeau and head south ASAP, to either the US or Mexico. I’m in Mexico as a permanent resident. I love Mexico and I love Donald Trump! MAGA, lock her up, and drain the swamp! im married to a mexican and and i’ve been living in mexico since may 2016. i have temporary resident card for 2 years and will expired on may 2018. my question is when that temporary card expired on may 2018 can i apply permanent resident or i still have to renew my temporary card for 2 years more? Greetings! The best thing to do is check with the embassy to be certain, this kind of decision may vary from one case to another. You can apply for permanent. Then immediately after receiving permanent status, you can apply for citizen and get mx passport. Hello, I am 39 and my father was born in Mexico. What would be the best way to go about getting my dual citizenship? I’m a US citizen, and my wife is Mexican (she was born & raised there, so she has dual US/Mex citizenship). We currently live in US, but are thinking of moving there (MTY, or QRO). I work as an airline pilot, so I can very easily ‘commute’ from MTY/QRO to my crew base in Houston (2 hours max). In other words, I’d LIVE in MX and WORK in US. 1) It’s my understanding that my marriage to a Mexican Citizen, would cut the 5 year temp residency requirement down to 2 years? Is this correct? 2) During my temp residency period leading up to this, is there a MINIMUM number of days per year that I need to physically be in Mexico? I believe I read “180 days” from another poster, but I don’t know if that’s in relation to tourist visas, or something. The only official info I’ve found so far, from the MX immigration website, says that I must have sufficient means of income, AND have resided there for X years (depending on Mexican relatives, wife, ect). Apologies for long post..just wanna convey my situation accurately. Thanks in advance. 1: My parents Marriage license with a real Seal from the U.S. State/County they were married in. 2: My Mothers Baptism certificate that states she was born in Mexico and it also has an ifficicial Mexican Seal/Stamp. 3: My Birth Certificate with Authentic Seal from the U.S State I was born in. 4: My United States Identification card. 6: My mother’s death certificate. What ELSE do I need to prove that My Mother was a Mexican by birth, so that I can get permanent Mexican residency or just Mexican Residency at the least?? Hi, I am an American man married to a Mexican woman for 23 years living in the us . I have been in Mexico for 3.7 continuous years on temporary resident visa and want to know if I can apply for Permanent resident visa. My question is I went back to India on 7th Oct’17 and my 4th year as temporary resident is expiring on 26th Feb’18. Can I apply for permanent resident visa since the gap between leaving the country and expiry date is more than 4 months ? I am a US citizen who has permanent residency status in Mexico. I seek to purchase land in the restricted zone of Baja California. Can I buy this in my name or do I need to use the fideicomiso? Hello, I was born in Mexico and became a naturalized US citizen. Does that mean I revoked my Mexican citizenship or I am automatically a dual citizen? Just remember that when you travel to Mexico as a dual citizen you must present your Mexican passport. This might not be beneficial since your other country’s consulate may not assist you in case of an emergency or if you need other assistance. I have been told it is possible to get a 90-day temporary naturalized Mexican citizenship to sell Mexican property as a Mexican citizen. But I can find no data on this. Is this real? It seems a little strange to me. I have been told it is possible to get a 90-day temporary naturalized citizenship in Mexico for a fee to complete a real estate sale. This seems a bit strange. Is it real? Isn’t it rather ironic how much praise this author gives Mexico for being so much better and “free” that the US? You HAVE to apply for a visa and the citizenship process takes about as long as the US. Why no anger for not just letting you come in and be a citizen because you want? Why the lengthy LEGAL process? Talk about unreasonable. How dare they have a strict method that the US is being chastised for implementing already in place. Plus I love these people who sit there and talk about how much better it is, but stays here and complains. I smell a hypocrat. I’m asraf.from Bangladesh. my question is if I visit in Mexico as a tourist visa.and stay 180 days. or stay more then that.can I work in Mexico? and if I get marry a Mexican girl, so can I live in Mexico and get the permanent presidency? Hi, my great-grandmother was born in Mexico…I was baptized here. How can I verify this comment/rumor: “While there are options to become a Mexican citizen through birth abroad to Mexican parents, Mexican descent back two generations (although there has been talk of extending it to three generations).” ?! I am retired and have over $100,000 in CD’s in the bank. Am I eligible for permanent residency? I live 22 years in mexico. FM3 FM2 and now permanente for 5 years. Can I get now a Mexican PASSPORT ? My wife and myself are US citizens but lived in Mexico for more than 10 years and both of our children were born there and are dual citizens. We are anxious to return to Mexico but the old FM3 visas we were so easily able to get in the mid 90’s up until we left in 2006 are no longer available. The FM3 no longer exists and the prerequisites for FM2’s are much more burdensome than they were at that time. Our children are now 13 and 15. Do we qualify for residente permanente status or citizenship through our children without having to meet the financial burdens otherwise required? Thanks for any insight you might have. I have the same question asked above. My wife and I are natural-born USA citizens and current USA residents with no ties whatsoever to Mexico. If we were to give birth while visiting Mexico, our child would automatically be a natural-born citizen of Mexico AND a natural-born citizen of the USA. Under both USA and Mexico law, our child would never have to renounce either citizenship. 1.) Does this scenario mean my wife and I could apply directly for permanent residency as parents of a Mexican citizen, without first obtaining a temporary visa? 2.) As parents of a Mexican citizen, would my wife and I have to show financial sustainability such as wages or investments to qualify for permanent residency? I’m 70 years old permanent resident for 3 years-I want to get citizenship in Mx. I have no Mx. family and don’t work in Mx. How can I get citizenship? Oh!I own property in Baja Ca. I was born in the U.S to Mexican American migrants. I am currently working on getting my Mexican citizenship. I would like to know if my daughter can have dual citizenship as well. I am not my daughter’s biological parent but I have all Legal right . She is of Mexican decent but neither I or my coparent where born in Mexico. What could I do? A question about getting Mexican citizenship and passport. I am married for 7 years to a Mexicana, lived in Baja for 9 years with ,my visa for over 5, a premamente now. And we are having a son in about 1 month here in Mexico, and legally adopted 3 Mexican national children. So sounds like I have 3 ways to get it. The question is which is the quickest and easiest way, by years living here, by my wife or because of my son/ adopted children? My grandmother was born and raised in Mexico. She moved to the states after marrying my grandfather who was born in Texas to Mexican parents. Can I be granted citizenship since my grandmother was a natural Mexican. I believe the article says it goes back 2 generations. Can somebody help me please. I have innumerable family that lives in Mexico that I want to live close too. In your article, you mention that persons born in a Latin American country or Iberian Peninsula can shorten the time line to become a Mexican citizen to two years after permanent residency. I was told that this does not apply to persons born in Cuba. Also that Cubans had to meet other more stringent requirements. Is this a correct understanding. Thank! I understand there are two options for businesses in Mexico…an SA de CV (incorporated company) and a Sole Proprietorship in your name. How does INM handle a request to hire yourself for your own company (money generated in Mexico) so you can get a temporary immigration status that allows you to work? In the past, it was a temporada lucrativa and you only submitted a letter with your application for temporary status.